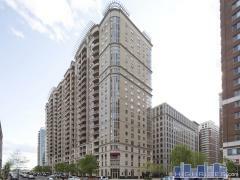 Located close to the Metro in Cleveland Park, The Broadmoor is a 1929 high-rise standing 8-stories tall. Amenities include garage parking, and a gym. Have any comments or questions about The Broadmoor? Ask your question and/or share your thoughts about this Building.